Size: 14.2 g / .5 Oz. 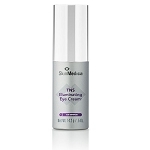 This luxurious eye treatment cream formulated with the patented growth factor blend TNS®, peptides, high concentrations of antioxidant vitamins C and E and hyaluronic acid helps to increase firmness and elasticity, improve the appearance of fine lines and wrinkles and minimize dark circles. Human Fibroblast Conditioned Media (TNS) - A physiologically balanced, naturally secreted and stabilized combination of multiple human growth factors, cytokines and natural proteins responsible for the production of collagen and other extracellular matrix proteins. Palmitoyl Tetrapeptide-7 - A synthetic peptide designed to penetrate the skin and stimulate fibroblasts to produce extracellular matrix thereby help reduce depth, length and volume of wrinkles and increases skin thickness. Palmitoyl Oligopeptide - A synthetic tripeptide designed to penetrate the skin and stimulate fibroblasts to produce extracellular matrix thereby help reduce depth, length and volume of wrinkles and increases skin thickness. Tetrahexyldecyl Ascorbate - A stable, lipid-soluble ester form of ascorbic acid (Vitamin C), a free radical scavenger that fights signs of aging while enhancing collagen production for firmer skin. 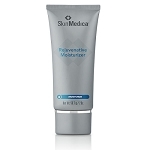 Helps reduce hyperpigmentation and age spots. Tocopheryl Acetate - A stabilized ester of vitamin E considered the most important antioxidant and free-radical scavenger. Moisturizes the skin and improves smoothness. Retinyl Palmitate - A natural lipid soluble form of retinol that helps increase epidermal thickness and stimulate epidermal proteins to keep skin staying soft and plump. Hydroxysuccinimide and Chrysin - This combination of ingredients helps eliminate excess iron and other pigments that cause dark circles under and around the eyes. Reinforces and tones the eye-area skin. 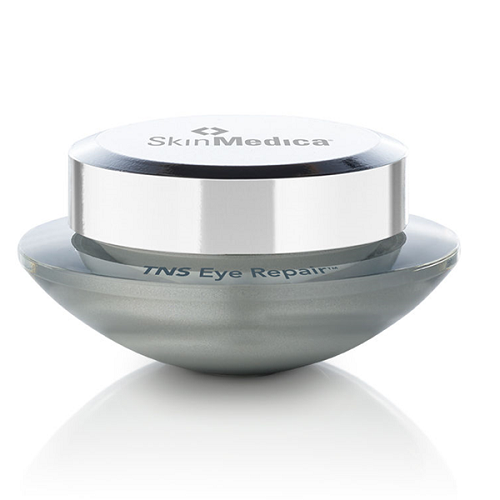 Boron Nitride - Optimizes the optical diffusion effect of light, which lessens the visibility of dark circles and discolorations to enhance skin appearance.